The Peoples Democratic Party (PDP) says it believes the president is increasingly becoming less confident about his chances in 2019. 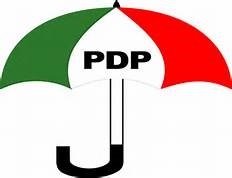 The PDP in a statement by its National Publicity Secretary, Kola Ologbondiyan, on Monday, claimed that the President already knows he has failed. The party said president Buhari’s media adviser only confirmed the obvious when he announced the apprehensions being entertained by the president over the 2019 race. Stating that the President would not be bothering about opponents if he had done well in office, the PDP also charged the APC and the Presidency to end their current attempts to use paid fifth columnists.